Last December, I published here on Forbes and subsequently on Kinder World an article on why — if we want to tackle today’s global challenges — we need to start thinking of planet Earth as a single entity, beyond the narrowness of national borders. They created an experience that combines VR and AR technology to give children a first-hand (or first-eye…) taste of the overview effect. 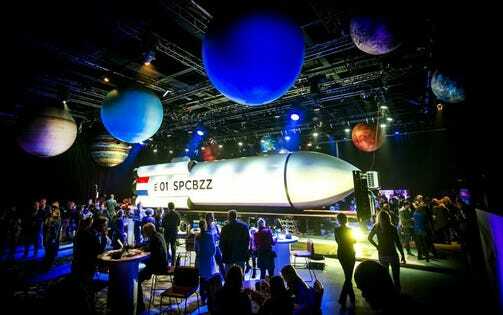 WeTransfer founder Bas Beerens and astronaut André Kuipers — the second Dutch citizen to ever make it to space — are instead Spacebuzz ambassadors. Kuipers’ voice will also guide the children during their missions. If I’m mentioning this information is not just to feed the curiosity of all the nerds of Dutch astronautics history out there, but because also Wubbo Ockels played a pivotal role in making Spacebuzz come together.